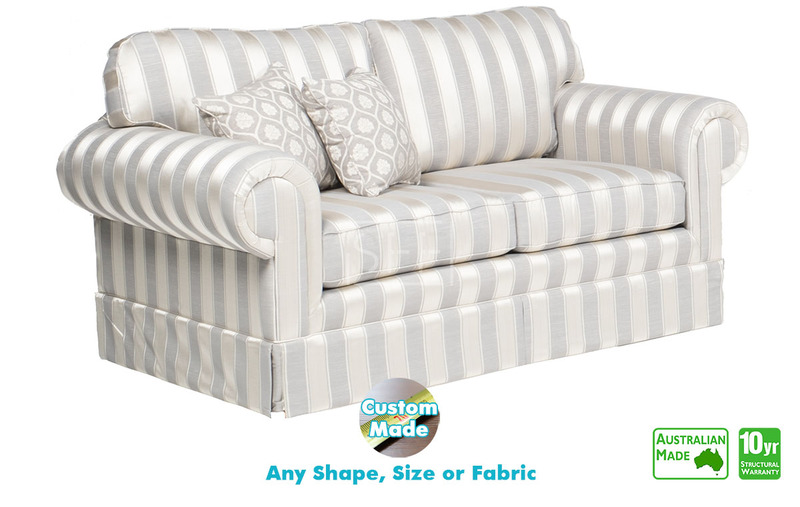 Advertised price is for the 2.5 Seater (2 seat cushions) with Double 4" inch inner spring Sofa Bed mattress in Fabric range ""Eastbourne"" Colour Pewter . Decorative scatter cushions are extra. The Surry offers elegant rolled arms with ultimate comfort. The skirting offer that extra bit of class, And you don't have to worry about comfort with our popular three layered seat cushions included. The Surry range is available in any configuration of seats or we can custom make to your sizes and choose from 100's of good quality, most are commercial graded fabrics to get that look that you desire.